On Monday, Apple announced a new credit card in partnership with Goldman Sachs. Apple’s credit card is simply called “Apple Card” and is being promoted as a card with no fees, attractive rewards and deeper integration with the iPhone. Though these things are good, they are not enough to determine if you really need the Apple Card. To help you decide if Apple’s credit card fits your financial needs, the following are some of its critical details. Apple Card – what makes it unique? First, let’s talk about the benefits and unique features offered by the Apple Card. 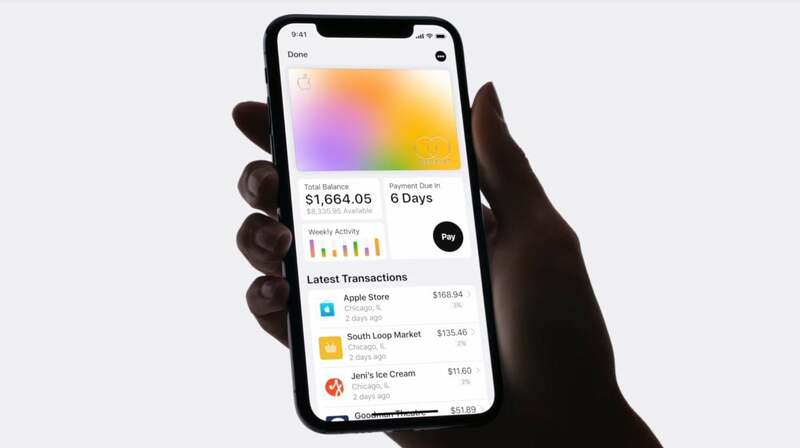 The biggest benefit of the Apple Card is that it is deeply integrated with the Apple ecosystem, including the Wallet app and iPhone. For instance, the “financial health” tools in the Wallet app will allow card users to check and analyze their Apple Card usage at a glance. Users can know details such as budget monitoring and interest calculations. Further, users can directly contact Goldman Sachs anytime and for any issue or support they need. Users won’t even have to make a call; they can simply message the issuer from their iPhone. Another unique feature that not only distinguishes the Apple Card from others but is also its biggest attraction is the Daily Cash rewards system. Apple’s credit card has no cash back limits. The company says users will be rewarded based on their usage of the card. Moreover, the cash back will be deposited into a user’s Apple Cash card at the end of the day. Users will be free to spend the cash as they like. Apple Card carries no fees at all, making it perfect for those looking for a new card. The issuer won’t charge any annual fee, meaning you can simply carry it without even using it and not have to worry about paying a fee at the end of the year. Additionally, the card won’t charge users for international transactions as well. This makes it perfect for frequent overseas travelers. Moreover, there are no late fees or penalties on late payments as well. Privacy and security is another reason to go for this card. Apple is known for its stance on privacy when it comes to iPhones, and the same rule applies to the Apple Card as well. The company says it won’t track purchases, including what and where you purchased them. Also, Apple cleared that even Goldman Sachs won’t share or sell the user data. Now, let’s talk about the reasons that could discourage users from applying for Apple’s credit card. Similar to other cards, Apple would also charge a high interest rate. According to the company, users will pay interest between 13.24% and 24.24%. The interest rate charged will depend on the credit scores of the users. Experts say that this interest range is wider than what is charged by the majority of other cards on the market. The interest rate on the Apple card is good for people with great credit scores and is even lower than the national average of 17.67%, according to a CreditCards.com survey. However, for those with low scores, the interest charged could be a concern. On the other hand, a high interest rate also means that Apple plans to make its card widely available. Most companies don’t offer credit cards to people with low scores. Apple would cater to those with low scores as well, but at higher rates. Another discouraging thing about the card is the fees related to certain transactions. Though Apple won’t charge an annual membership fee, it will, however, charge fees for some specific transactions made via Apple Pay Cash service. The Apple Pay Cash service allows iPhone users to send money to other iPhone users. Apple has linked the credit card with the Pay Cash service. For example, rewards from the Apple Card will be paid through the Apple Pay Cash account. Apple will charge 1% for making an instant transfer from the Apple Pay Cash balance to a debit card. Direct bank transfers, however, are free. Talking of cash back, though it is a big attraction, it is not groundbreaking. There are cards in the market that don’t charge any annual fee and offer comparable (or even better) cash back rewards. Another drawback is the lack of features when compared to a few other cards on the market. For instance, there is no introductory APR for purchases or balance transfers, which is a common feature offered by many cards on the market. Some cards also offer additional rewards for people with good credit scores. Despite these few shortcomings, the Apple Card appears to be a promising product. It comes with some exclusive and innovative features that are not yet available in the market. Going forward, Apple’s credit card should only get better and possibly the shortcomings will fade away as well.